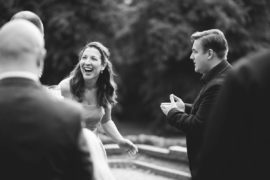 Wedding Tip – To tell your guests or not? 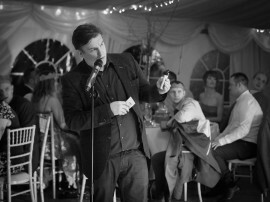 Award Winning Wedding Entertainer Looch performing a ‘Mix & Mingle’ Wedding booking at Pendrell hall in Staffordshire. This kind of booking is ideal for during the drinks reception where your guests can relax and enjoy the mind blowing entertainment provided by Looch. Photography by John Price Photography. 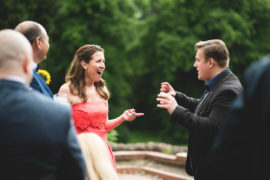 Wedding entertainer Looch is the number one choice to perform as a Mindreader at Pendrell Hall in Staffordshire. 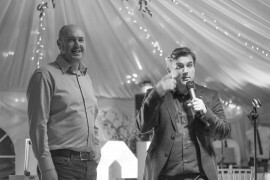 This photo was taken by John Price Photography and captures Looch giving a ‘Poker tell’ demonstration to wedding guests during the drinks reception. The annual IFSEC trade show held at London’s eXcel centre was home to Videcons 21st Birthday. Looch was hired as ‘The Crowd Puller‘ to bring in guests and entertain the company’s VIP clients. Award winning performer Looch is a specialist ‘Mindreader in London’ who performs at Trade shows and Conferences all over the capital. 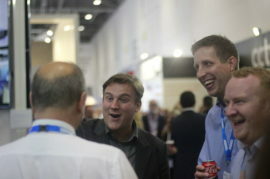 This image shows Looch performing for VIP’s at IFSEC, A security trade show held annually at London’s eXcel centre. 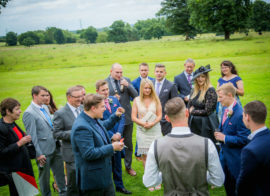 Corporate Entertainment | Mind Reader | UK Looch is an award winning entertainer that specialises in performing as a Mind Reader for corporate events all over the UK. 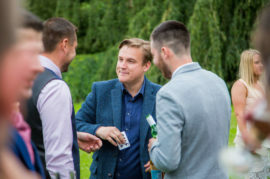 Looch is considered to be the #1 Mind Reader & Magician in Nottingham and the surrounding areas. He is booked for a wide range of events, be them corporate, private or weddings. To make your next event a success please contact him today.